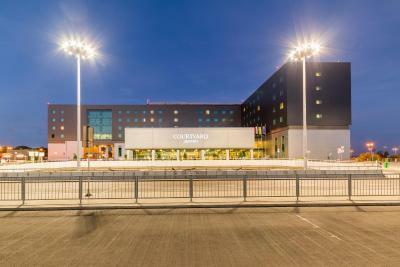 Lock in a great price for Courtyard by Marriott Warsaw Airport – rated 8.7 by recent guests! The location can't be beat. Whenever one has an early AM flight out of Warsaw it's the best place to stay! The location right across from the terminal was amazing. 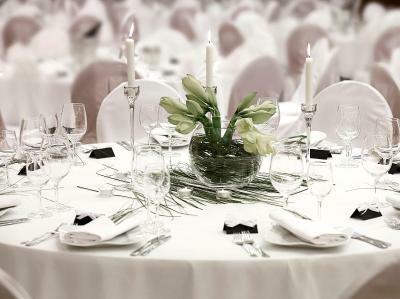 I really liked this hotel; everything was always very clean and the staff we extremely helpful and knowledgeable.....the staff went out of their way to make my stay a wonderful experience. The staff was very friendly and check in and check out process was very easy and fast. The hotel is located across the terminal. I use this hotel from time to time when I have an early departure. The hotel is clean and comfortable with all the amenities needed (safe, kettle, free bottle of water, etc). The rest of service was really ok. In spite hotel location is on airport, indeed, the hotel is not far from city centre you can reach by taxi for a quiet convenient price. Very convenient location right in front of the airport terminal, comfortable rooms, no noice from airport at all. Convenient meeting facilities. Pretty nice and close to the Airport. Quiet. Good if you just need to hang out between the flights or something similar. Going from here to center of the city will take aprx 20-30 mins by bus\car. So not a great idea. Courtyard by Marriott Warsaw Airport This rating is a reflection of how the property compares to the industry standard when it comes to price, facilities and services available. It's based on a self-evaluation by the property. Use this rating to help choose your stay! 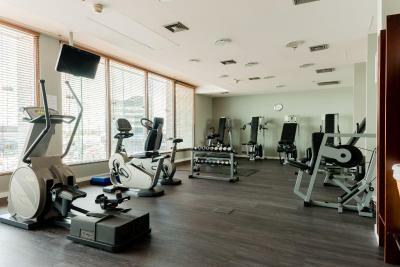 One of our top picks in Warsaw.Right opposite Warsaw Chopin Airport, nonsmoking Courtyard by Marriott Warsaw Airport offers amenities available 24 hours a day, including a fitness club. 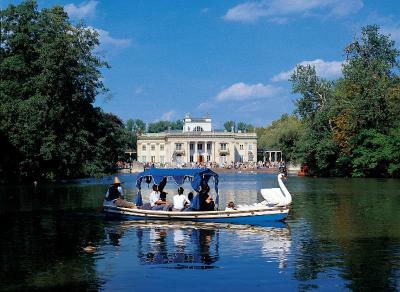 Warsaw city center is a 15-minute drive away and can easily be reached by a fast train (SKM). Cozy and air conditioned rooms of Courtyard by Marriott Warsaw Airport come with laptop-size safes, soundproofed windows and large flat-screen TVs with satellite channels. Tea and coffee making facilities are provided, as well as ironing facilities. Free internet connection is provided throughout the hotel. Front desk staff is available 24 hours a day and can arrange for laundry and dry cleaning services. Private parking is available on site, as well as a shop, The Market, open all hours. The hotel’s Brasserie Restaurant overlooks the 2-story lobby atrium and serves light Polish and international dishes. The modern Lobby Bar and the Cyber Café with WiFi are also at guests’ disposal and there they can follow screens showing flight departures and arrivals. 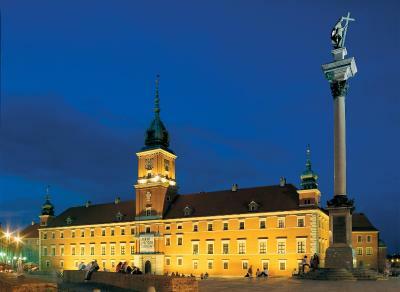 Warsaw's Old Town and the Royal Castle are 30 minutes from the hotel. 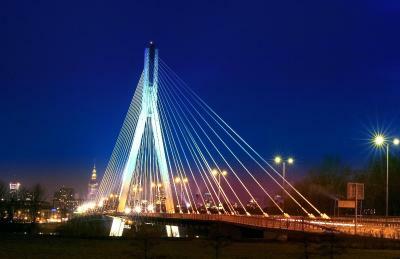 When would you like to stay at Courtyard by Marriott Warsaw Airport? The deluxe, soundproofed room features tea and coffee making set, ironing facilities and a 32-inch, flat-screen, satellite TV, as well as a mini-bar and a safe. Free WiFi is offered. 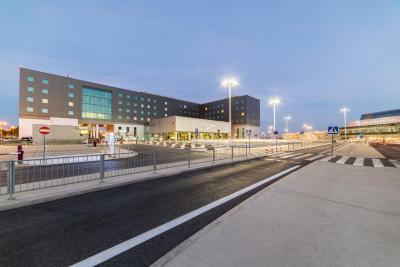 Some rooms offer a view of the Chopin Airport. Private parking is available on site (reservation is not possible) and costs PLN 90 per day. Superior room with soundproof windows, a tea/coffee maker, ironing facilities, a 32'' flat-screen TV with satellite channels, a mini-bar, a safe and free WiFi. Some rooms come offer a view of the Chopin Airport. Extras include a bathrobe, slippers and a wider range of toiletries. The only hotel at the Chopin Airport, just 49 steps to the plane. The ideal accommodation for travelers and business people. 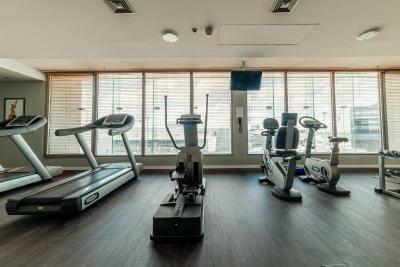 You will find here comfort, convenience, excellent and healthy cuisine and direct connection to the city center via fast city train or bus. 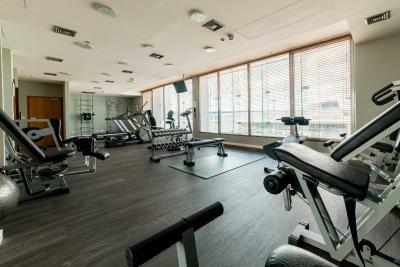 House Rules Courtyard by Marriott Warsaw Airport takes special requests – add in the next step! Other Courtyard by Marriott Warsaw Airport accepts these cards and reserves the right to temporarily hold an amount prior to arrival. Courtyard by Marriott Warsaw Airport accepts these cards and reserves the right to temporarily hold an amount prior to arrival. If VAT (Value-Added Tax) Invoice is required, please notify Courtyard by Marriott Warsaw Airport using Special Requests box when making a reservation. We were told to pay for the "high-speed wifi" when we checking out after one night stay, the staff told us we can choose regular wifi or high-speed wifi when connecting to the internet, but neither I nor my friend did note the choice when connecting to the wifi since you just need to enter your room number and the last name and click "Done". so you'd better pay attention to the wifi option when you stay here. excellent location very close to the airport. Variety of items and Space to Seat. Good choice for business trip, just beside the airport, no noise, clean room and bed, the girl in reception is nice and helped me with the express sending. Hotel is in good location. It was basically right. There was cold in the room, and I could not make it warmer. We were staying only for 5 hours between two flights. From 10AM to 2 PM, but needed to pay fot the hole night! And some extra for the early check in. It is not that cool! LOcation excellent. Room nic.e BAthroom good. Simply put. It's a 4* world famous hotel. And it's really close to the airport. Best way to get there is to exit at the 2nd floor from airport and cross the street. Nothing, unless they let us stay for free or something ridiculous to expect like that! Breakfast staff was miserable. No made to order eggs, food on buffet looked old (cheese was rubbery, etc). Toilet paper and Kleenex in the rooms was so cheap it was like a paper bag. It was so bad it was crazy. Nothing. Was there for a short time and it served it's intended purpose. I chose this hotel for the location. Long over-night layover so better to be in a bed. It met it's purpose. Didn't eat at the hotel so can't comment, nor is it fair to fate it.